Segway rocks the mountains – with these trendy, electric-powered eco-speedsters conquer summer as winter effortlessly beautiful Salzburg mountains. 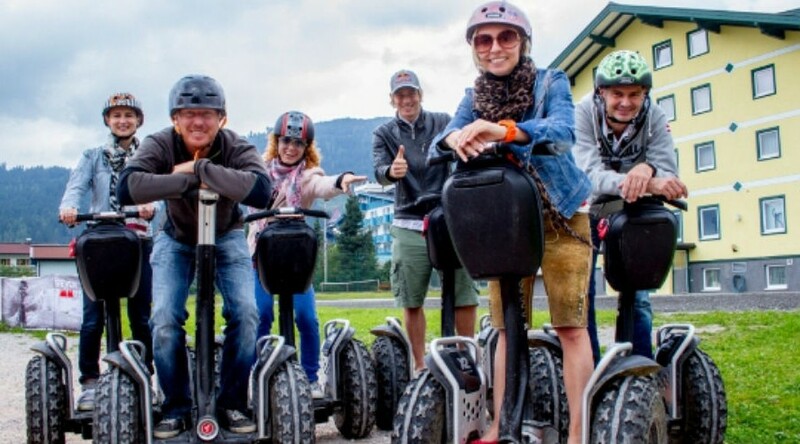 Whether on the scale especially for Segways course or a tour through the beautiful countryside of the Salzburger Land – the Segway can be easily controlled by the own balance and provides a driving experience in a class. The electric drive ensures that the Segways not only extremely environmentally friendly are, but also pleasantly quiet. As a further highlight of our kids have -Quads your children an unforgettable experience. True to the motto “I want fun – I’ll give gas” show our little ones that they already have an incredible ride. Under the guidance of an expert you will learn the basic techniques of the Quad driving and can immediately try out on the terrain course. The off-road course for the kids quads has been specially created. For fun and action is taken care of, because the kids can here even over small hills and steep turns driving! Of course, all very safe – a helmet is provided.